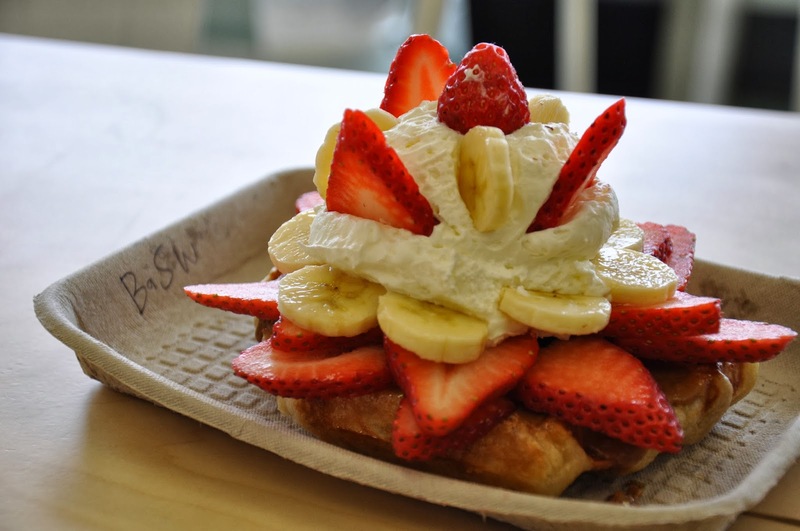 As you walk into the new permanent location for Waffle Love you are hit with the smell of cooking waffles, fresh fruit, and Biscoff (think Nutella but made out of cookies). The once only nomadic makers of liege waffles have found a home at 1796 N 950 W in Provo. Don&apos;t worry if you are a fan of the food truck, they still have two of them zipping around Utah Valley and a third in the Mesa area. 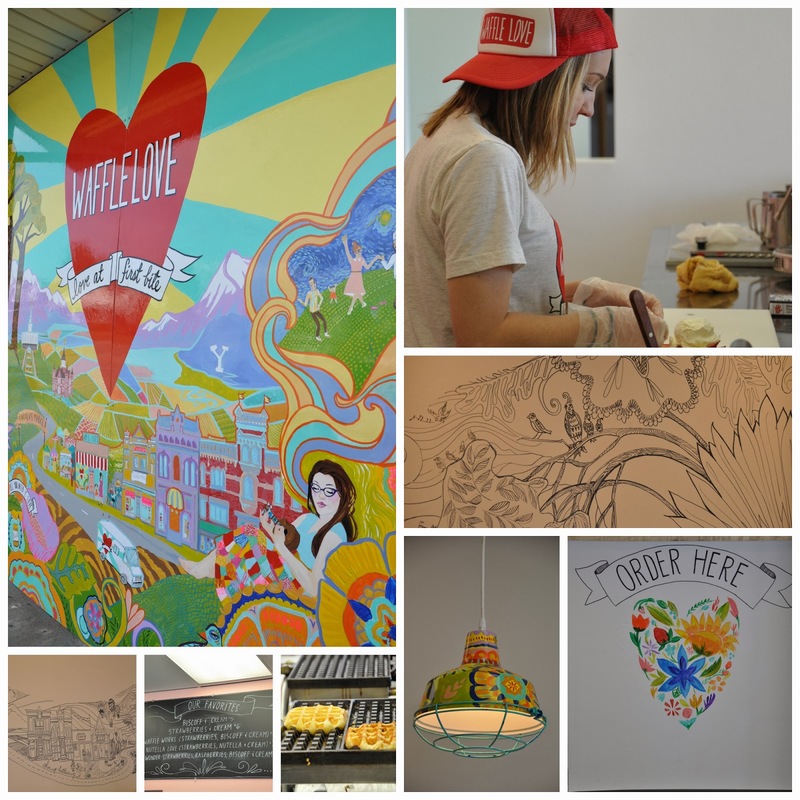 If you are already a fan of Waffle Love or if you are new to the delectable treat you will love the new restaurant. You can get all the same waffles you loved at the truck, just at the same place everyday. They prep their ingredients daily, that means the cream and fruit on your waffle not only looks amazing but tastes great too! We tried the Strawberry and Banana with Biscoff on it. It rocked our world. The waffle was sweet and crispy. They use a special recipe that makes a dough and not a batter. To make it even better they use sugar pearls in the batter to give it that little something special. The fresh berries and cream were paired perfectly with the rich Biscoff. We are now big fans of Biscoff, I don&apos;t know if you had picked that up yet. Other kinds to try include: Red Wonder-with strawberries and raspberries. Nutella Love-strawberries, cream, and nutella. Paityn-nutella, bananas, and cream. The art inside the restaurant was all done by the owners wife; freestyle by hand. Another fun fact: the mural on the back wall of the restaurant was done all in Sharpie Pen!